8 Beautiful Model Homes Now Open! Solar-Living Homes! Welcome to Classics at Poppy Lane! 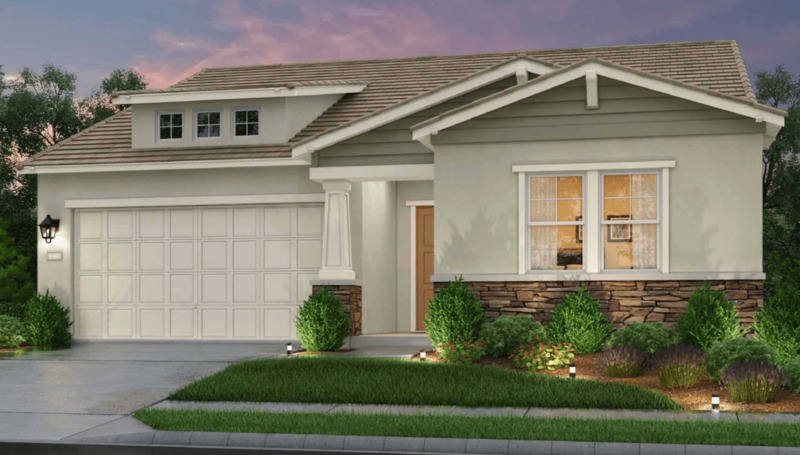 Poppy Lane residents enjoy beautifully appointed, solar-living, new homes in Elk Grove, with close proximity to the future expansive park; adjacent to Poppy Lane and within walking distance from your new home at Classics. This is a tranquil community surrounded by natural beauty that residents will cherish. Elk Grove is also the center of Northern California’s largest and highest-rated school district, which serves over 62,000 students. Residents of this community enjoy access to some of the area’s finest schools, including Cosumnes Oaks High School and Elizabeth Pinkerton Middle School. Classics at Poppy Lane is convenient to state of the art medical care, a wide array of dining and shopping options, and the excitement and natural beauty of Northern California. Despite the wide availability of amenities, Elk Grove’s small-town atmosphere is still vibrant, and its neighborhoods are as close-knit as ever. Classics at Poppy Lane has it all! A quaint neighborhood culture surrounded by endless top-notch amenities to satisfy your every whim. Great schools, superb shopping, fantastic eateries and ideally located adjacent to a large, planned neighborhood park. Come and tour one of these elegant new homes in Elk Grove and see what Classics at Poppy Lane has to offer!